Emma Bradley is a versatile artist with a talent for many different mediums and art forms. She is local to Caledon, Ontario. Her earlier works were more geared towards two dimensional expression through photography, watercolours, acrylics and drawing. More recently, she has discovered an affinity for the three dimensional form and sculpture; creating installation pieces, sculptural abstractions of the human form, and pottery. Emma graduated from Mayfield Secondary School in 2016, receiving the highest mark in her class, and represented the graduating RAP (Regional Art Program) class in the juried “Walk the Art” exhibition at the PAMA Art Gallery, Brampton, ON. After high school, Emma decided to take a gap year where she moved to Japan for six months and worked as a volunteer medical assistant at Aso Iizuka Hospital. During her vacation time away from the hospital she travelled throughout the regions of Kyushu and Kansai, also exploring Hiroshima and Tokyo. While in Japan she fell in love with their pottery and techniques, and how each piece is unique and specialized depending on its area, exemplifying the country’s rich culture and history. This summer, Emma was proud to launch her own Alchemy Pottery Studio, integrating some of the techniques she learned abroad, whilst creating her own personal style. Emma’s philosophy towards making pottery was heavily influenced by studying “Sado”, the way of Japanese Tea Ceremony. She strives for a minimalistic, Wabi-Sabi aesthetic that showcases the beauty of the raw, organic clay. 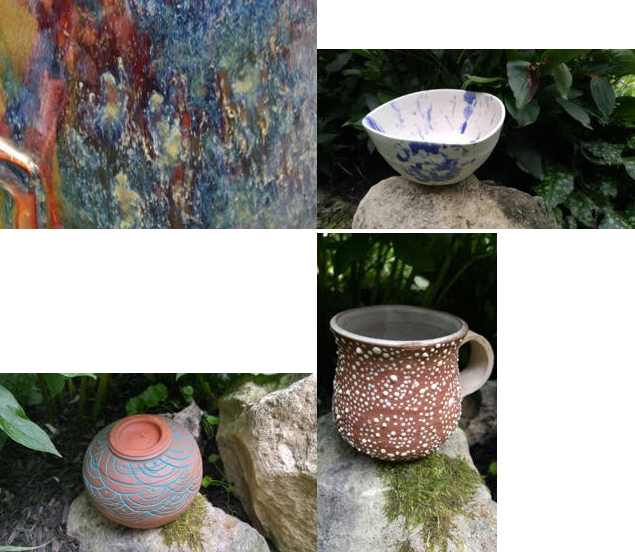 Through her pottery she conveys the theme of authenticity over ornamentation, and the profundity of nature.